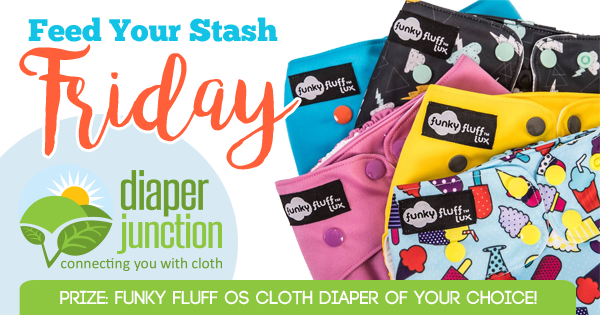 One lucky giveaway winner will get to pick their choice of any of our in stock Funky Fluff diaper colors, styles or prints! I wooild choose thunderstruck! It's such a cute print!! If I won I would pick thunderstruck. :) it is so adorable. So many of them are cute, but I love the one with the popsicles and ice cream! Kumbaya is so cute, and I love that they gave all diapers the same bum! I have one FF shell and love the fit! I'd choose the Mint - such a pretty color. I really like the ice cream one and thunderstruck. I'm torn between Aloha and Yellow Submarine. Such gorgeous colors! I would choose the bamboo OS in either Kumbaya or Maritime! Even though summer is almost over I still obsess over "Ice Ice Baby"
I would choose ice ice baby! So cute and colorful! I totally been wanted Kumbaya! I would pick either Thunderstruck or Yellow Submarine! Man, idk how I would even choose. So many adorable prints. I'd probably choose the ice-cream one though. It's so cute! Ice Ice Baby and Kumbaya are so adorable! I will choose Thunderstruck if I win..Fingers crossed!! Kumbaya, Kryptonite & Mint to Be are all gorgeous! 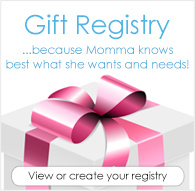 I would love to have any for our lil Levi, yes please! I'd pick Funkometry! I haven't tried Funky Fluff yet, but the AWJ sounds like it would be good for my sensitive little guy. Any chance you have the new Zee You Later?? That would. be my pick, if not... hmmm, maybe Aloha? Or Funkometry? Or Kumbaya!! Love me some new Funky Fluff!! ?????? I love diaper giveaways and I just discovered these diapers!! I've been waiting to try Funky Fluff diapers. I love the ice ice baby funky fluff diaper perfect diaper for summer!! I love the Kumbaya and the thunderstruck. I like Thunderstruck! They are all so cute though that I really would take any of them! Thunderstruck is my favorite too! Thunderstruck is adorable and will go perfectly with our Harry Potter themed birthday party coming up. Thunderstruck is my favourite print thus far from Funky Fluff! I'd love one in the AWJ material! I like "Ice, Ice Baby" . Trying to build a stash for future baby. I would pick Kumbaya, what a fun print!! I love kumbaya! also the new zebra print is adorable as well! I love the thunderstruck print! I love this opportunity to try a brand that I haven't used before. I would love the thunderstruck! I've had my eye on thunderstruck, it'd be my first funky fluff! I love all ge funky fluff prints especially the new ones! I've been wanting to try this diaper brand out For awhile. Ah that's SO hard but Bamboo for sure and maybe thunderstruck ! It's a toss up between kumbaya, ice ice baby and thunderstruck! oooh, tough choice! I'm stuck between Yellow Submarine and Aloha! My favorite is probably the Thunderstruck print! I would choose Zee You Later if possible, but Funkometry would be a close 2nd place!